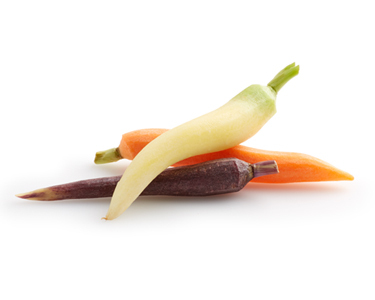 When you get right to the root of it, root vegetables are some of the most nutrient-dense vegetables in the world. And while each root contains its own set of health benefits, they also share many similar characteristics. Because root vegetables grow underground (thus the name “root”) – they absorb a great amount of nutrients from the soil. As to how to prepare them, there are many wonderful recipes to choose from. To make sure they turn out great every time, start with AuerPak® Brand. Storage of root vegetables vary. Ask a sales associate for details. 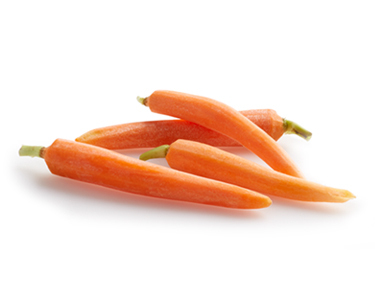 Baby carrots are grown in a small size as a specialty item. Carefully packed and sold in 5 lb. vacuum sealed bags for freshness. Best kept at 32˚-38˚. 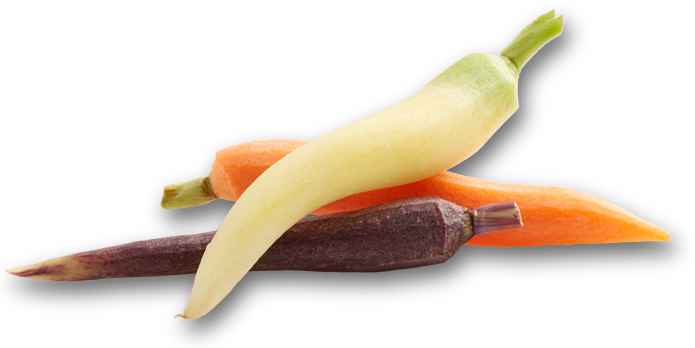 Colorful medley of baby carrots in a vacuum sealed bag for freshness . Available in a 5 lb. bag. Best kept at 32˚-38˚. 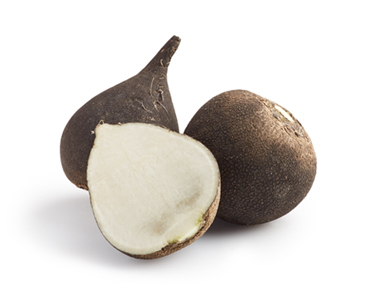 A root vegetable related to the horseradish and turnip family has a dark black skin with a pearl white flesh. It has a pungent and somewhat bitter flavor. Available in 25 lb. and 1/2 bushel units. Best kept at 32˚-38˚. 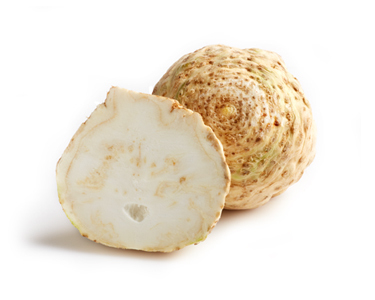 Also known as celeriac, this round root vegetable will not win any beauty contests. 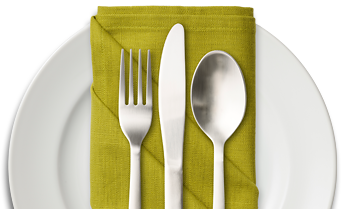 Its flavor can be described as a mixture of celery and parsley. Available in 1/2 bushel units and 10 lb. cartons. A member of the radish family easily distinguished by its long white root. 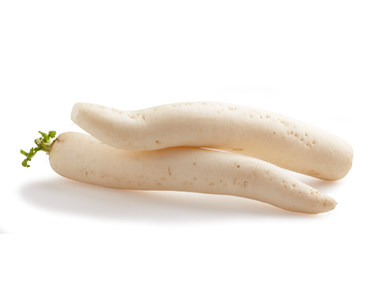 The Daikon radish is a staple in Asian cuisine and got its name from two Japanese words - Dai (meaning large) and Kon (meaning root). Available in 40 lb., 20 lb. and 10 lb. cartons. Best kept at 34˚-38˚. 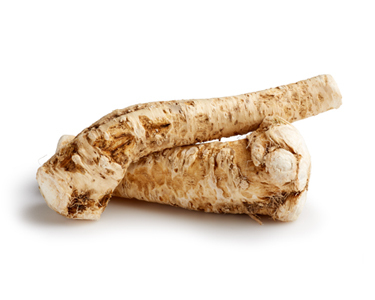 A pungent root vegetable with a white flesh, used mainly as a condiment. Also known to have medicinal qualities. Available in 10 lb. and 5 lb. bags. Best kept at 30˚-38˚. 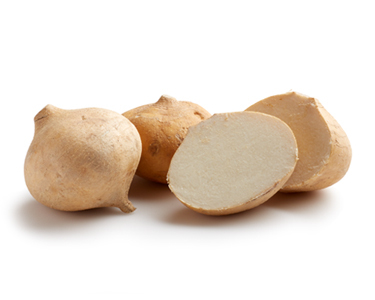 Jicama is a low calorie, round, golden brown root vegetable of Mexican origin. Available in 20 lb. cartons. Best kept at 40˚-48˚. 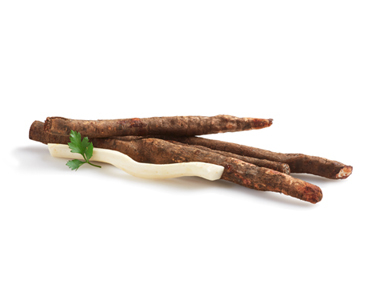 A root vegetable belonging to the dandelion family with a creamy white flesh and thick skin. Available in 11 lb. cartons. Best kept at 32˚-38˚. 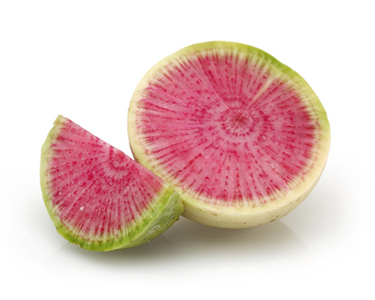 Watermelon radishes are an heirloom variety of Daikon radish. When cut in half, the flesh looks like a watermelon, thus its name. Available in 25 lb. and 10 lb. cartons. Best kept at 34˚-39˚.